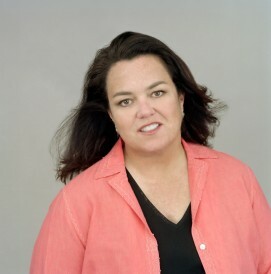 “Fame is a road full of land mines, and every four feet you risk getting blown up,” professed Rosie O’Donnell. She was speaking about Miley Cyrus and her widely-criticized performance at this year’s MTV’s Video Music Awards, but also describing her own battle scars as an outspoken celebrity. The actress and comedian is ecstatic to be going back to television, taking a role in executive producer Jennifer Lopez’s ABC Family hit “The Fosters” beginning in January. Having had a bit of a breather to tend to her health — she suffered a heart attack last October — she’s also as opinionated as ever, weighing in on gun violence, a boycott of the Olympics in Russia, Britney Spears and Cyrus, Pope Francis, gay marriage and Boy George’s new makeover. Posted September 21st, 2013 & filed under Entertainment.